This is a turnkey promotion that includes all the collateral you need to keep your players playing. 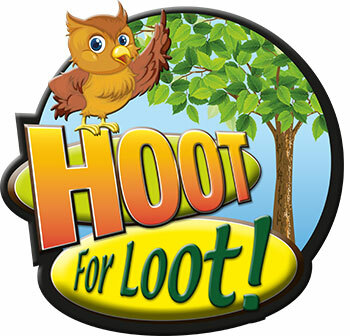 Players earn owls by earning point on their player’s club card. 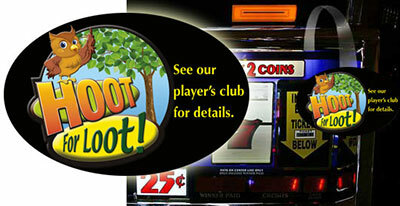 You determine the number of points and actual prizes (free play, tee shirts, meals, hotel rooms, dollars, etc.) to win a prize. 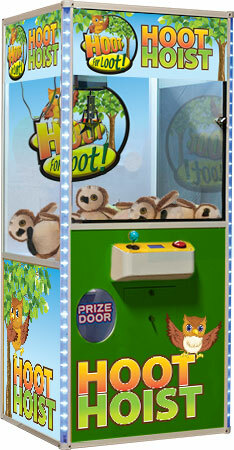 When the player achieves the determined number of points, you send them to the “Hoot Hoist” to choose an owl. 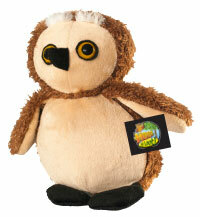 Scratch off prize tags are attached to the wing of the plush owl. This is YOUR PROMOTION to select the prize!